A new, appealing and highly effective product: these are the main features of this application for tablets useful for the company’s sales representatives in their business meetings. 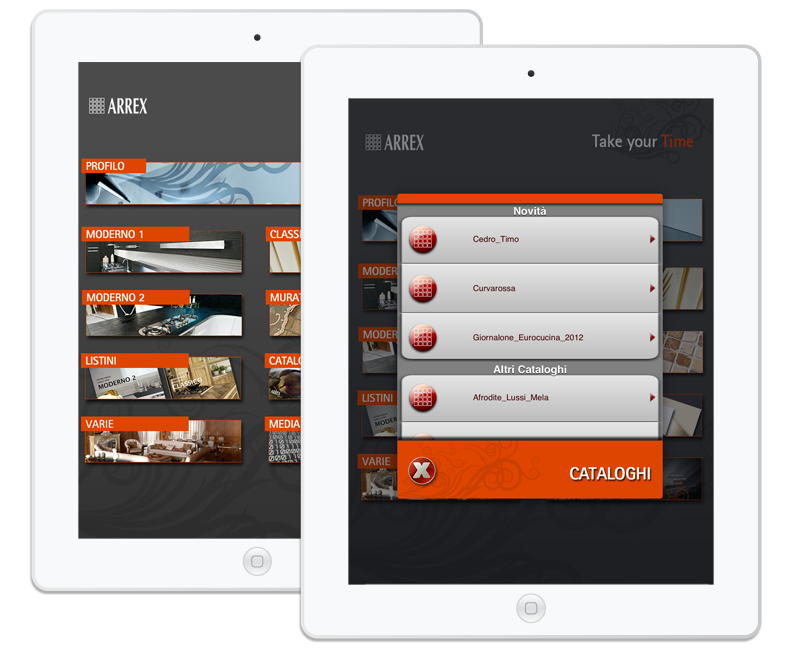 Thanks to this app, there is no more need to provide them with bulky catalogues as products are directly updated inside the platform that is interfaced with the company database. It is then possible to update content in the various sections and information is made immediately available to agents. A specific strength of this project is customisation: those in charge of uploading information can differentiate content according to sales areas, thus making products visible to the appropriate groups of agents. Sections are detailed and accurate, containing technical information on products, images, price lists and videos in a user-friendly environment. One section is dedicated to internal communication, optimised for areas and groups as well. Our first goal is your success. We manage high quality multimedia and communication projects that allow our customers to successfully reach their audience. An attractive, innovative brand image built on the integration between online and offline communication. Tailored projects for your specific needs, with a global perspective. © Copyright 2019 Softaris IT. All rights reserved.